The Itsy Bitsy Spider Crochet: Gifting Mittens - Now Available in Children's Sizes! Gifting Mittens - Now Available in Children's Sizes! As I put the finishing touches on another pair of gifting mittens, the Little Miss plopped down next to me. "Mama?" she asked tentatively. "Can I have a pair of mittens?" Of course, the gifting mittens pattern would be too big for her kindergarten hands -- it was time to make some changes -- and quickly. 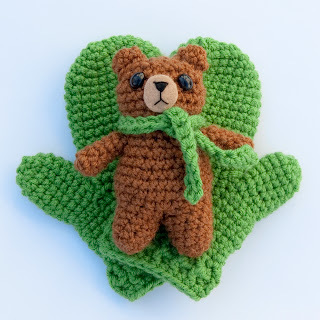 A couple days later, I had three different sizes of mittens and a sweet little bear all wrapped up into one tidy pattern package and ready for gifting. Ta-da! 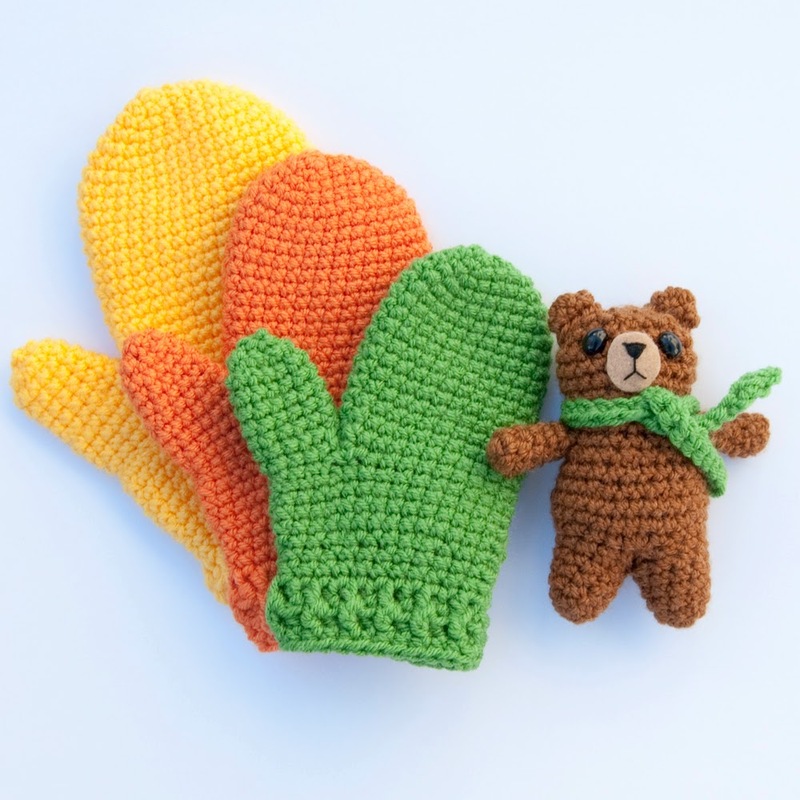 Children's Gifting Mittens! You can purchase the pattern set now from all the usual places (Ravelry, Craftsy, and Etsy) or click here to purchase directly on the blog (no new user accounts needed). At just $3.00 for the pattern (a little more from Etsy), you'll be able to crank out mittens for every little hand on your holiday list in no time at all -- with little bears that are just the right size to fit inside those little hands. I hope you enjoy this latest addition to my pattern collection and look forward to seeing all your mittens!